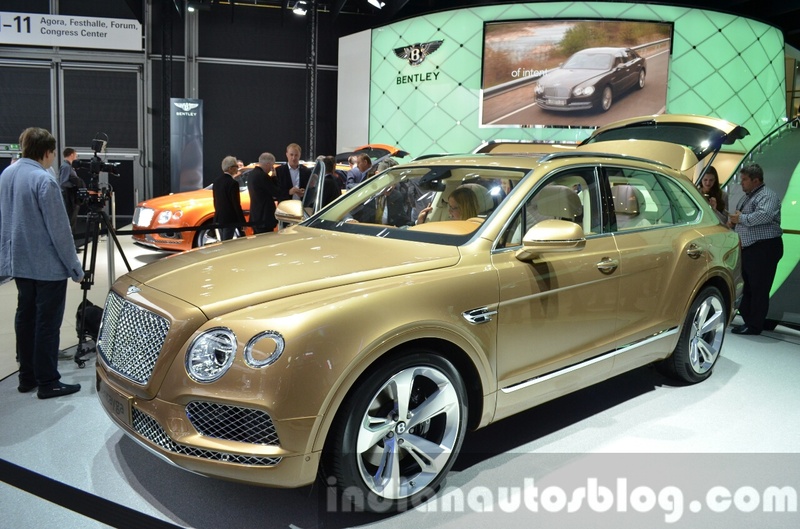 After endless teasers and testing videos, Bentley has finally unveiled their first-ever SUV - the Bentley Bentayga - at the 2015 Frankfurt Motor Show. This is a new milestone for the Crewe-based manufacturer, and will cater to the ever-increasing demand for super luxury SUVs from markets like the Middle East, Europe, and the U.S. The Bentley Bentayga features a familiar design that draws cues from the current model range, as seen in the dual headlights with separate LED DRLs, characteristic mesh grille, and large intakes. Coming to the side, it gets a "Flying B" side intake, chrome accents, a strong rear haunch and 21 inch 5-spoke alloy wheels. The rear-end is sloped towards the front, and features angular taillamps, roof spoiler, a bold chrome line running across the lower fascia, and dual exhaust tips. 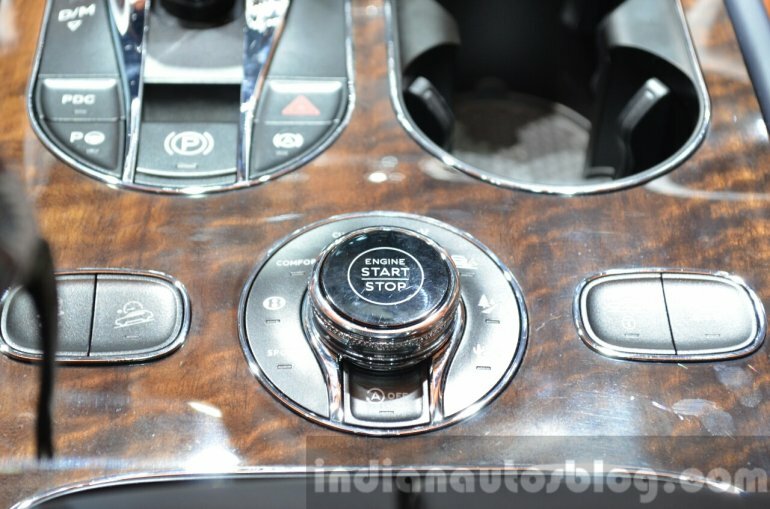 Inside, it adopts a familiar design that is well-equipped to Bentley's high luxury standards. It comes with a large multi-information color display, start-stop button on the Terrain selector, stubby gear selector, new steering wheel design, and a Heads Up Display. For infotainment, the Bentayga relies on an 8-inch touchscreen system on the dashboard, which supports 30 languages and has an in-built 60 GB hard drive. Powering the Bentley Bentayga is a revised version of the 6.0-liter twin turbo W12 engine, which outputs 608 PS and 900 Nm of torque. It is paired to an 8-speed automatic transmission with paddle-shifters, and an AWD system with a drive selector. With such power under the hood, the Bentley Bentayga is the most powerful and fastest SUV available, and is capable of sprinting from 0-100 km/h in 4.1 sec, before hitting a top speed of 301 km/h. Bentley has also confirmed that there will be a diesel variant (a first for the company) and a hybrid powertain in the future.